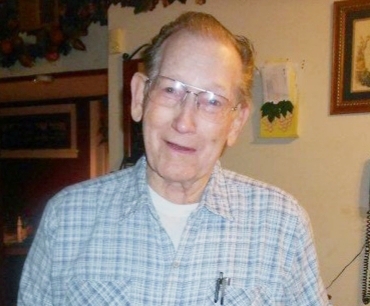 Lawrence Elbert Higby of St. Louis, Missouri passed away on Tuesday, October 2, 2018 at his home, having attained the age of 91 years, 1 month and 7 days. Born in Douglas County, Missouri on August 25, 1927, he was the son of Henry Albert and Lillie Pearl Higby, nee Adams. He was united in marriage to Pansy M. Preston on December 17, 1961 in St. Louis, Missouri and she preceded him in death on December 2, 2004. Lawrence was a veteran of the United States Army having served during World War II, a chrome plater and member of the Baptist faith. Preceding him in death were his parents, his wife, Pansy Higby; his daughters, Mary Reandro and Dorothy Tate and eight brothers and sisters. Surviving are his children, Debra (Russell) Nugent of Arnold, Missouri and Lawrence D. Higby of St. Louis, Missouri, twelve grandchildren, great-grandchildren, Ronnie and Norma Scherffius, many great-great-grandchildren and many great-great-great grandchildren. Friends may call on Monday, October 8, 2018 from 3:00 P.M. to 7:00 P.M. and on Tuesday, October 9, 2018 from 11:00 A.M. to 12:00 noon at the Chulick Funeral Home, 5611 South Grand Boulevard, St. Louis, Missouri. Funeral services will be held on Tuesday, October 9, 2018 at 12:00 noon at the Chulick Funeral Home, 5611 South Grand Boulevard, St. Louis, Missouri with Pastor Duane Hanson officiating. Interment will follow in Jefferson Barracks National Cemetery in St. Louis, Missouri with military honors accorded at the graveside.